Ever since the killing of Cecil the lion, the world has been awoken to the fallacy of so-called "conservation hunting". However, whenever the hunting industry is pushed into a corner, they say "look at Kenya, they lost 70% of their wildlife since they banned hunting". Frankly, Conservation and animal welfare advocates such as myself are sick of such an inaccurate and outdated statement. Kenya has lost 70% of wildlife for many reasons. The ban on commercial hunting is not one of them. During the 80s and early 90s, Kenya had an explosion in it's human population. A bigger population needs more space, more space requires more land usage. This in turn led to a surge in the number of cattle used in lands, which competed with wildlife during that time, causing herbivore numbers to drop. Carnivores were forced to prey upon livestock, causing their numbers to drop in turn. More evidence comes from the bordering nation of Ethiopia, which has lost even more wildlife to and even bigger increase in it's population and livestock. Kenya's corruption and poorly managed land agencies also led to a decline in it's wildlife. Bad land management leads to increased illegal poaching and unregulated ranching. Poverty was also widespread at the time, which in turn leads to an increase in poaching. Local communities were also excluded from such management. In 2014, Botswana outlawed all commercial trophy hunting within it's borders. As expected, this infuriated the hunting industry, who in turn shouted out all sorts of alarmist projections. However, according to Wildlife photographic companies, wildlife areas under photographic tourism delivered 1000 times more benefits toBotswana than the hunting areas. Photographic tourism pays much greaterdividends in terms of salaries and wages, skill transfers, training, associatedbusinesses like airlines, restaurants, hotels, goods and service suppliers.Also much greater benefit to the Government in termstaxes. Each and every hunting area is now being converted or is in a process of beingconverted to photographic tourism. Even some of the so-called "marginal areas".There are those in the hunting industry who are stirring trouble, but that isall "baloney". The only people who are suffering are those employed by thehunting industry as trackers and those are not employable withtheir current "skills". The decision by the Government was a simple one – they were simply notgetting the benefits they expected from the vast tracts of land allocated tohunting. Although there has been a couple alarmist projections, these are nothing more than "hunter propaganda. Some have said that human-wildlife conflict has worsened, however, this is not the result of the ban, but the hunting itself. Before the ban was in effect, most, if not all of the old bull elephants were killed by hunters, this in turn caused younger, more aggressive bulls to come and trample crops. Studies have shown that elderly bulls play a part in keeping young hyper-aggressive bulls in check. 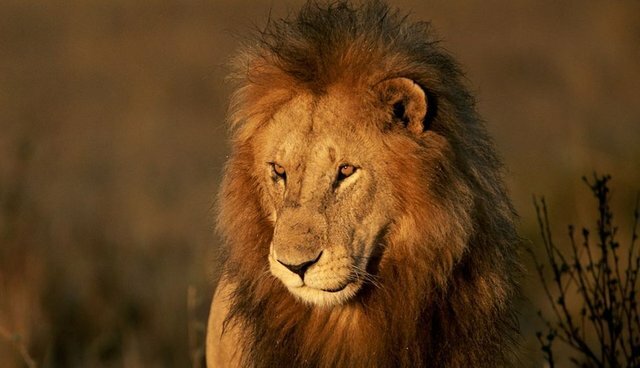 The raiding of livestock by lions is indirectly a result of the excessive trophy hunting. The smell of carcasses had drawn them near villages, and the locals had left the remains of elephants killed by hunters for them to feed off of, as a consequence, the lions associated the area with food, and now stay near the villages. Now that we are in a new era, the year 2016 respectively, Kenya's management has very much improved. Thanks to successful anti-poaching efforts funded by nature based tourism, the country is now home to 45,000 elephants, the 4th largest population in continental Africa. Kenya also houses the third largest population of endangered Black rhinos. These conservation efforts have most certainly surpassed the efforts of countries such as Mozambique, who has been increasingly loosing more elephants, and whose rhino population is now locally extinct.